Day 21: What are your 10 favourite blogs? This is the blog of Alice. She is an amazing person who is a mum of 2. She has a teenage son, who has Down syndrome also. I love reading her blog seeing her pictures and just generally see what she gets up to. (not in a stalkery way) We became friends first through a DS support site and it was through reading her blog and her advice that I was able to create mine. I have never met Alice but I hope to one day and her amazing son. Her blog gives me hope, makes me smile and let’s me know that sometimes it’s ok to cry about DS. Her blog is worth a read I promise. This blog is by Sara. She is a lovely woman from Scotland who has moved over to America with her family. She run a weekly linky called #theprompt I try to join as often as I can or when the creative juices are flowing. I’m not always able to come up with anything though but she still includes me in her list every week to ask me to join. I love reading all the different ways she is creative with her prompts. Writing poems, short stories or just telling is about her life. It in a great read. 3. The Reading Residence This blog is run by Jocelyn and is a great read. She blogs about life, about family, reviews and competitions too. She also host pleat of Linkys such as word of the week which I try to join every Friday and bring back paper I love reading what she has done over the week on a Friday and I try my best to join in to her linky. This is a blog run by Charly. She is a amazing a other who has an great talent for taking photographs. 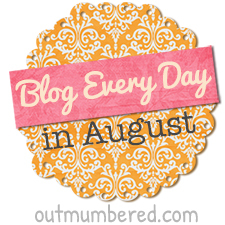 She runs and joins a number of Linkys join so I can’t help but come across her amazing blog. It’s differently worth a look. This is a blog run by Darren. He is a father of girls and loves taking photos. He has run a linky #mysundayphoto that I join religiously every week and I love looking at his photos on a Sunday and reading his blog posts if I have time. 6. Zena’s suitcase is a blog on a mother who has an older childer plus 2 younger children close to E and Baby’s age. She hold some Linkys that I have joined in the past but have be absent from recently 😦 (I should really aim to finish the draft I have been typing for this linky) I live reading her post and because I know that we go through very similar things. She has helped me a lot in past too answering my nearly endless questions about blogging and adding me to groups on Facebook. This is a blog run by Hayley. She is a fellow DS mummy and I have only tweeted her a few time but I love reading her informative posts about life with a child with DS. I have also watch her and her daughter on TV join her linky for #TeamT21 when I type a post that involves DS or my daughter. Her advice and post gave always help be through times of uncertainty. 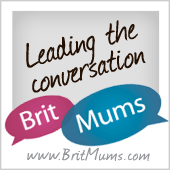 Is a blog run by Jaime, she is a mother how write review and blogs about parenting. I love see all the thing she gets up to or reviews with her family and have used some of her views when I have been looking at or pick something out to buy. Great blog! 9. brummymummyof2this blog is run by Emma or Em. I love reading about her adventures with her kids and the thing did gets up to. But the thing I loved the most is her sarcasm and wit. Most of her post have me Laughing Out Loud and always manage to out a smile on my face. Trust me she us a blogger you don’t want to miss out reading. 10. internetburnette I have this linky #BEDAoutnumbered to thank for this one. Because without this linky I probably wouldn’t of found this blog but I have really enjoyed reading about her life abc getting to know some more about her. So much so I have started following her blog. So there you go my 10 favourite blogs. Nikki! Thank you so much for the mention. When I started this #BEDA challenge I knew that a lot of the other bloggers who would be taking part would be parents and I was kinda thinking that people wouldn’t like or be able to relate to mine.I really appreciate it!